The RG-31 Nyala is a 4×4 multi-purpose mine-resistant ambush protected infantry mobility vehicle manufactured in South Africa by Land Systems OMC (the division of Denel SOC LTD, located in Benoni, South Africa) and in Turkey by FNSS Defence Systems. It is based on the Mamba APC of TFM Industries. The RG-31 is built from a V-shaped all-steel welded armor monocoque hull and high suspension, typical of South African mine protected vehicles, providing excellent small-arms and mine blast protection. The vehicle is designed to resist a blast equivalent to two TM-57 anti-tank mines detonating simultaneously. 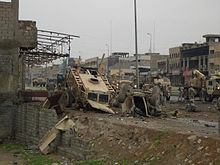 The RG-31 is classified by the United States Department of Defense as a category 1 Mine Resistant Ambush Protected (MRAP) vehicle. The vehicle accommodates a crew of 8 or 10, including the driver, depending on model. Dismounting is provided via a large rear door and two front doors. The RG-31 has become the multi-purpose vehicle of choice of the UN and other peacekeeping and security forces. It is finding favour with non-governmental organisations requiring a vehicle with a non-aggressive appearance to protect their personnel against land mines. In July 2016, the Letterkenny Army Depot in Pennsylvania rolled out the latest variant of the RG31, with improvements including an engine upgrade from 275 to 300 hp, a transmission upgrade from 2,500 to a 3,000 series, independent suspension, 360-degree spotlights for night visibility, and an armored gunner's hatch. The depot is scheduled to produce 929 these RG31s through 2020. Variants come in either an armoured personnel carrier (APC) or utility vehicle (cargo) configuration. Spanish RG-31 Nyala prepare to depart Forward Operating Base Bernardo de Galvez for a patrol through the town of Sang Atesh, Afghanistan. A UN RG-31 in Iraq. Iraqi National Police armored vehicles line up for a convoy at Joint Security Station Beladiyat. Spain: 150× RG-31 Mk5E Nyala with Samson remote Weapon Station (+ option for 30 more) already deployed in Lebanon and Afghanistan. Swaziland: 7× RG-31 Nyala Mk5E, currently used by the Umbutfo Swaziland Defence Force (USDF). RG-31 blown in half by an IED. Wikimedia Commons has media related to RG-31 Nyala. ^ "General Dynamics | Canada > Home" (PDF). Gdlscanada.com. Retrieved 19 March 2010. ^ "Today's Zaman, Turkish daily news". Retrieved 5 November 2014. ^ a b "RG-31 Nyala Mine Protected Vehicle". Retrieved 1 March 2011. ^ "Military Identifies 4 of 6 Canadian Soldiers Killed". CBC News. 4 July 2007. Retrieved 1 March 2011. ^ "GDLS RG-31 Mk5 spec sheet PDF" (PDF). ^ Administrator. "The BAE Systems RG-31 Agrab 120mm 4x4 mortar carrier vehicle to be produced in UAE 2609133". www.armyrecognition.com. Retrieved 23 March 2018. ^ "UAE Deploys Agrab 120mm 4x4 mortar carrier vehicle in Yemen - Defence Blog". defence-blog.com. 4 August 2015. Retrieved 23 March 2018. 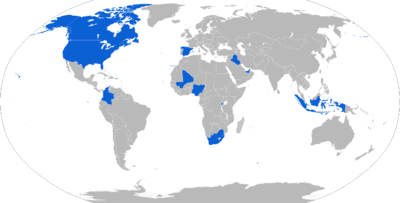 ^ "Arms Trade Register". SIPRI. Retrieved 22 June 2012. ^ "???". Archived from the original on 7 July 2007. ^ "General Dynamics Awarded USD $67 Million Modification to Previously Awarded U.S. Army RG-31 Mk5 Contract". 12 June 2008. Retrieved 1 March 2011. ^ "General Dynamics News - August 8, 2007". Gd.com. 8 August 2007. Archived from the original on 27 September 2007. Retrieved 19 March 2010. ^ "Diversity Adds Depth to MRAP". Military.com. Archived from the original on 23 October 2007. Retrieved 19 March 2010. ^ "General Dynamics News - July 17, 2008". Gd.com. 17 July 2008. Retrieved 19 March 2010.